Fremont Street is a pedestrian street in Las Vegas, Nevada, and is the second most famous street in the Las Vegas Valley after the Las Vegas Strip. 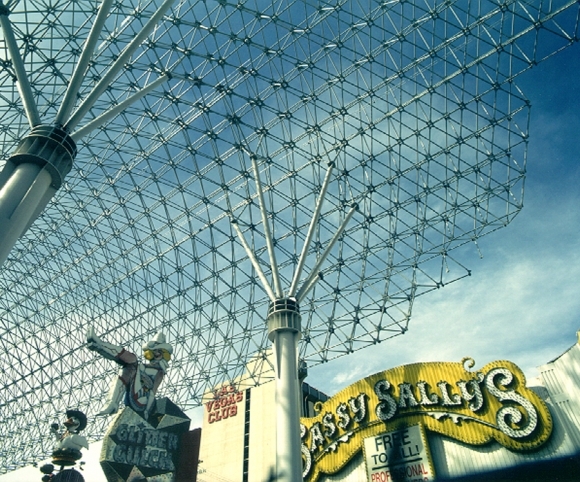 Named in honor of explorer John Charles Frémont and located in the heart of the downtown casino corridor, Fremont Street has been the address of many famous casinos such as Binion’s Horseshoe, Fremont Hotel and Casino, Golden Gate Hotel and Casino, Golden Nugget, and The Mint. 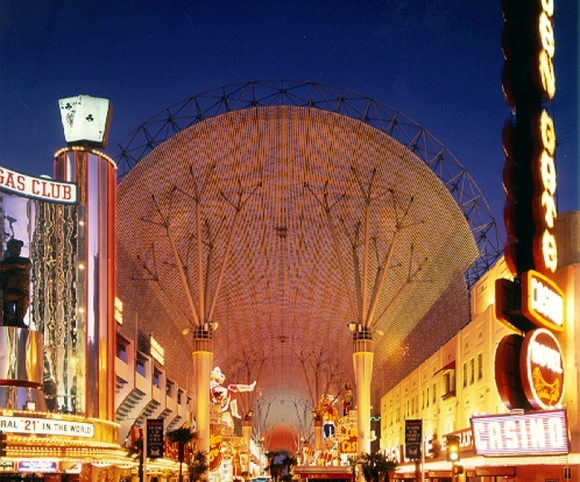 The Fremont Street Experience, as its known, is a pedestrian mall and attraction that includes a barrel vault canopy outfitted with neon lights that stretches four blocks in length. Shows at casinos along Fremont Street use the canopy and it’s lightshows to signal the start of events, and free concerts are regularly held on two permanent sounds stages.